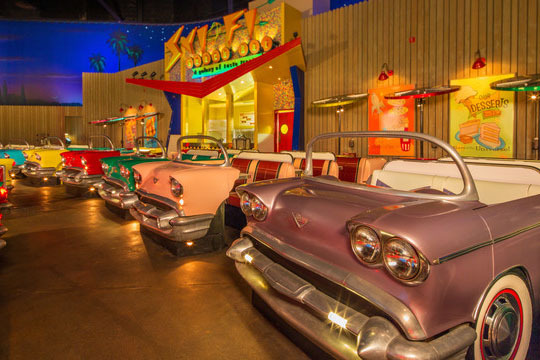 Sci-Fi Dine-In Theater restaurant in Disney's Hollywood Studios theme park serves American cuisine for lunch and dinner that includes burgers, sandwiches, ribs, seafood, pasta, steak and salads. 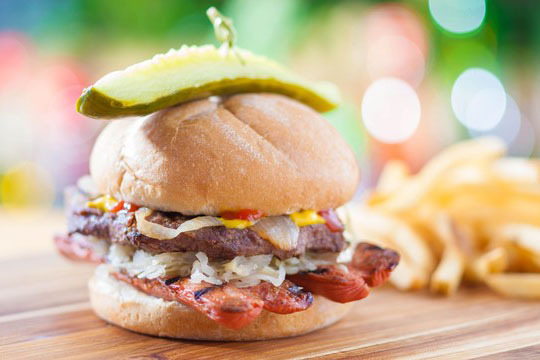 Pair your meal with a rich milkshake or, for Guests 21 years of age and older, domestic beer or a glass of wine. 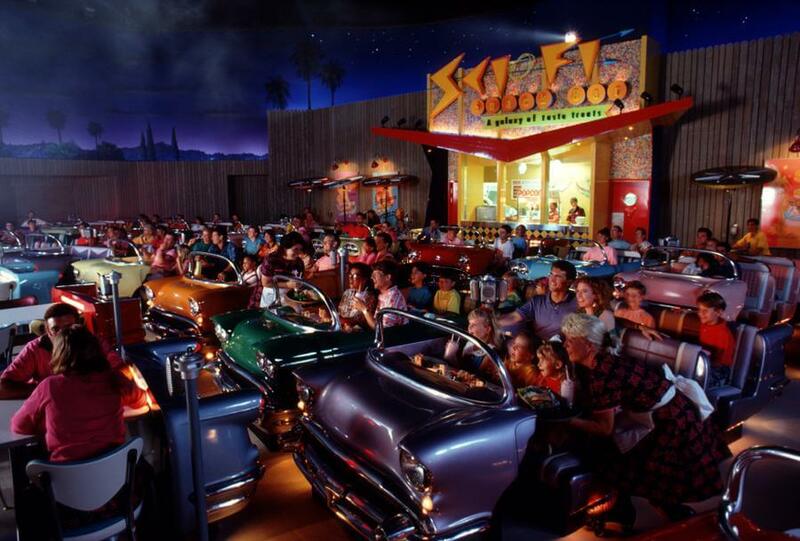 If you're feeling like a mad scientist while dining at Sci-Fi Dine-In Theater restaurant, try a Cosmic Concoction, such as a thick shake mixed with either Baileys Irish Cream or peppermint schnapps. 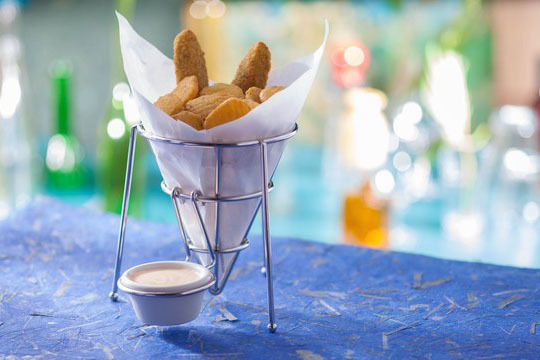 Then end your meal on a sweet note with a gooey dessert like a hot fudge sundae, a warm apple and pecan crisp, or a chocolate tart. 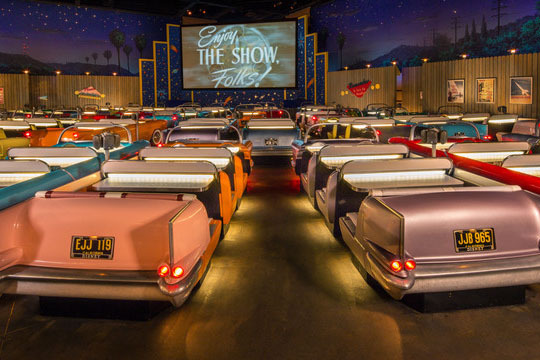 Like a night at the old drive-ins, servers at the Sci-Fi Dine-In Theater restaurant bring food to vintage '50s "convertible" tables as you watch '50s and '60s sci-fi and monster flicks on the big screen. 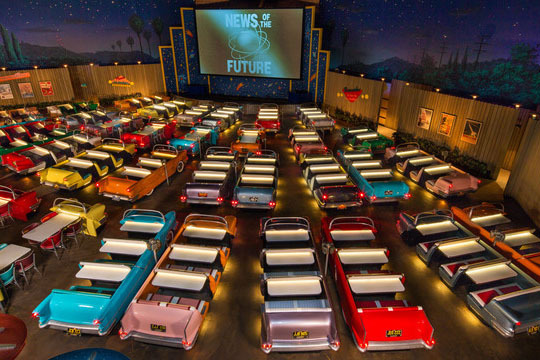 Dine at the Sci-Fi Dine-In Theater under a nighttime sky filled with twinkling stars, while glow-in-the-dark ice cubes swirl in drinks. It's all part of the otherworldly ambience that's hard to beat.